As the tri-state winter begins to draw to a close, thoughts of home renovating begin to take shape by the formation of plans and projects. Popular outdoor renovations include landscaping, outdoor lighting, paver walkways and patios and swimming pool installation or upgrades. Water garden design and installation projects, including features like fountains and waterfalls, are becoming more sought after projects, as people want to bring more of the outdoors into their living space. Now is the time to start defining a landscape project because landscaping companies are already lining up their work for the spring and summer. Landscaping in the NJ tri-state area can improve the overall look and feel of your outdoor living space. A landscaper helps you achieve this by reviewing your existing space with an unbiased eye, applying artistic vision, and having the hands-on knowledge of the specific project’s needs. Outdoor lighting serves two purposes. By strategically placing lights within your landscape to highlight specific plants or objects, you can add existing appeal to your outdoor design. Lighting also provides improved safety and security for homeowners and visitors, as well as adds time onto evening outdoor activities. Easy on the budget, NJ tri-state area outdoor light installation should be handled by someone who is skilled in light placement and wiring. Upgrading or renovating an existing patio with pavers can turn a plain concrete patio or grass space into a well-designed functional outdoor living area for leisure and entertainment during the spring, summer and fall seasons. Landscaping additional walkways add value to the space, as well as provide additional safety. Landscaping is the easiest and quickest way to bring new life to your living space. 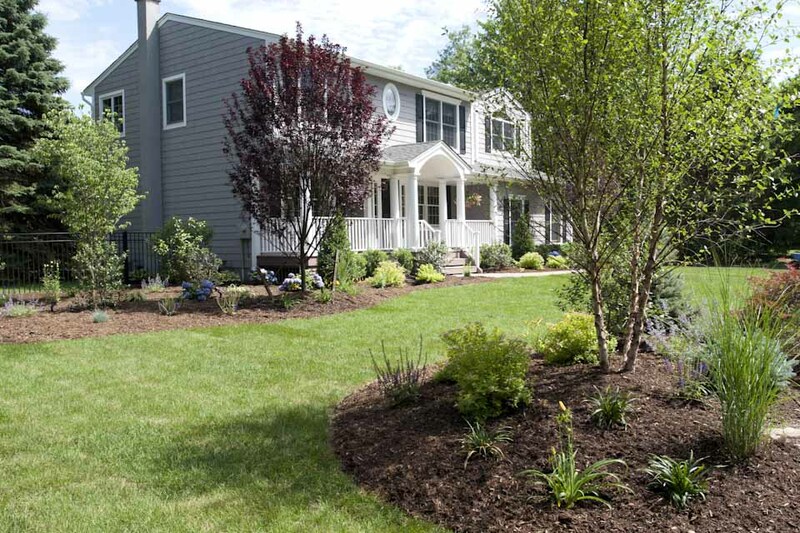 By using New Jersey tri-state area landscape services to help improve existing landscaping and design new areas, the overall curb appeal of your home will heighten. Each spring season brings new design ideas, trends and bright plant and flower colors that find their way into homeowners’ garden landscapes. Thomas Flint Landscape Design & Development is a Ramsey, New Jersey landscape company that specializes in landscape design, planting, outdoor lighting, paver patios and walkways, outdoor fireplaces, custom swimming pools, pool renovations, and more for people in the New Jersey tri-state area, including New York and Connecticut.